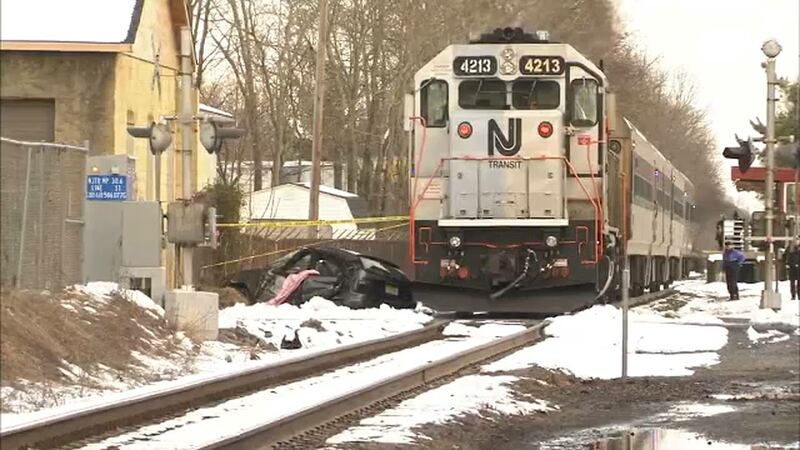 HAMMONTON, N.J. (WPVI) -- One person was killed, and another is injured after a train slammed into a car Friday afternoon in Hammonton, Atlantic County. It happened just before 4:30 p.m.
Police say the car was on the train tracks at the time. That person in the car was killed, and another was airlifted to the hospital. N.J. Transit's Atlantic City Rail line was suspended between Egg Harbor and Atco as police investigated.